Specialized fitness classes and training. At Forge-Rx, we have created an atmosphere that revolves around our member’s results. While we offer an open gym area, we also post the recommended workout of the day to keep you motivated and on track. 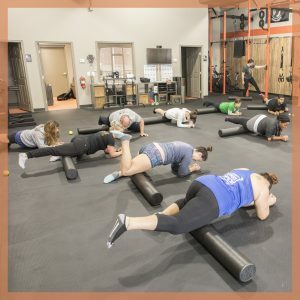 Our Forge Rx fitness trainers are certified and help clients by offering one-on-one personal training as well as instructing group fitness classes. Check out our fitness classes here. 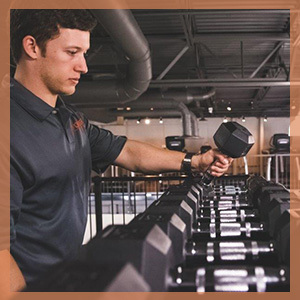 Our fitness trainers can help you achieve any fitness goals whether it is losing 20 pounds, excelling in a sport, or competitive weight-lifting training. Food is the fuel that feeds you! At Forge-Rx we know that you cannot outwork a poor diet, nor can you yield the results you want if you work out without changing what you consume. For this reason, we have passionate nutrition coaches on staff to help you set realistic goals and identify your strengths and weaknesses. We help by offering suggestions and tips that help to keep you on track. Check out our nutrition programs here. To optimize your health, it requires more than just lifting weights and eating well. At Forge-Rx, we help the total person reach their wellness goals. We offer massage therapy and doctor-assisted weight loss that helps clients to identify some barriers as well as overcome some medical diagnosis with weight loss. If you are looking for much more than a gym to help you reach your health and wellness goals, Forge-Rx is the right wellness center option for you! Stop by our Winder, Georgia fitness center today! Take a tour of our facility and sign up for an obligation-free 5-day trial or become a member today.